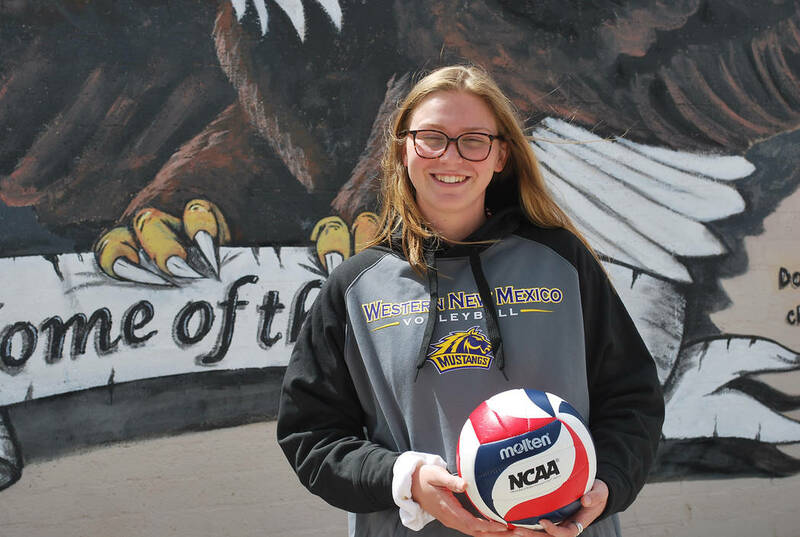 Maggie Roe, Boulder City High School senior star girls volleyball player, was named the 3A All-State Most Valuable Player and All-Southern Player of the Year for her efforts in guiding the Lady Eagles to their first 3A state championship since 1989. Summer Coyle/Boulder City Review Maggie Roe, a senior at Boulder City High School, was recently named the 3A Nevada Most Valuable Player for helping the girls volleyball team earn its first state title in 28 years. She will be attending Western New Mexico in the fall. Robert Vendettoli/Boulder City Review Boulder City High School girls volleyball star senior Maggie Roe was recently named 3A Nevada Most Valuable Player, All-Southern Player of the Year and All Sunrise Co-player of the year. She also was named Co-player of the Year for the All-Sunrise League team. One of two first-team 3A all-state selections with freshman Kamry Bailey, four Lady Eagles overall earned at least All-Sunrise Conference considerations for their efforts throughout the season, while their head coach, Cherise Hinman, was named 3A All-State Coach of the Year. An all-around threat for the Lady Eagles, the Western New Mexico commit led the team in kills (494), digs (276) serving aces (139) and blocked shots (77). Finishing second on the team in assists with 273 to primary ball handler freshman Ava Wright (657), who was named a second-team All-Sunrise selection, Roe’s impact went well beyond the box score. Roe ended her four-year tenure with the Lady Eagles with 1,442 kills, 887 digs, 320 serving aces, 299 assists and 283 blocks. Having an impact on the Lady Eagles’ other all-state performer Bailey, Roe not only helped the rising freshman have a breakout season, but helped mold the team’s next potential star. 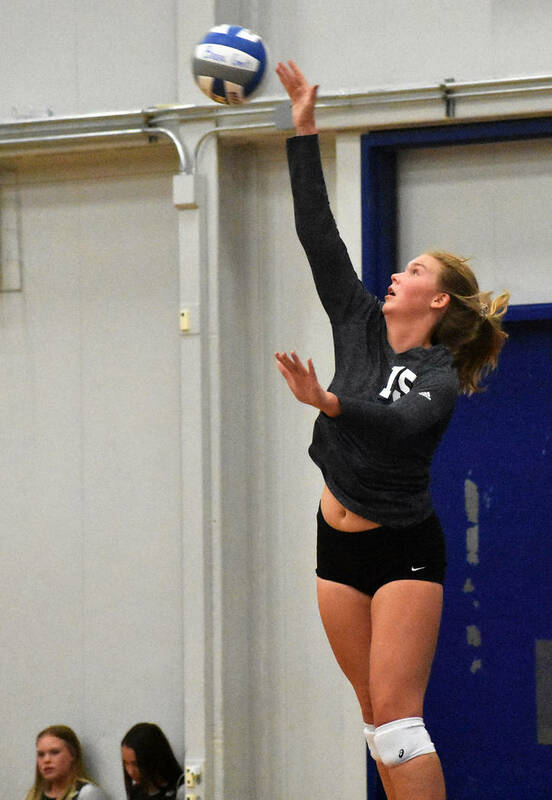 Breaking out as a freshman like Roe did in her first year with the Lady Eagles, Bailey was one of nine first-team selections after tallying 350 kills and 276 digs defensively. Playing like a star when the Lady Eagles needed it most, Bailey stepped up her game in the 3A state tournament, generating 49 kills and 21 digs during victories against Truckee and Moapa Valley. Bailey and Roe also were named to the All-Southern first-team. Senior Jerra Hinson was named to the All-Sunrise first-team. Hinson recorded 77 kills, 67 blocks and 60 digs this season. Claiming her first state championship after 21 seasons with the Lady Eagles, Hinman guided the team to back-to-back state tournament appearances. The Lady Eagles finished the league season with a 28-15 season.